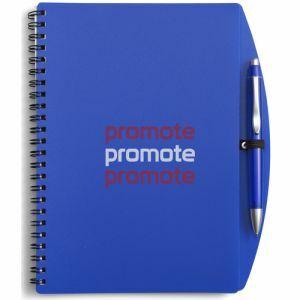 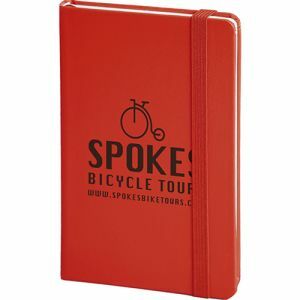 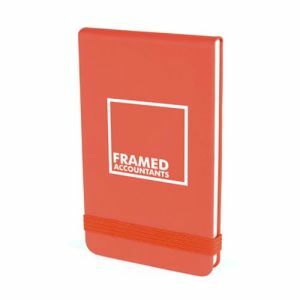 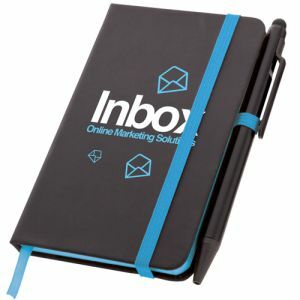 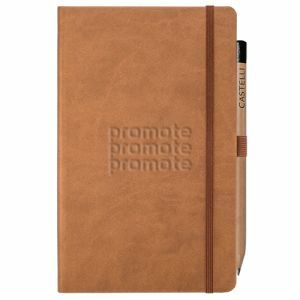 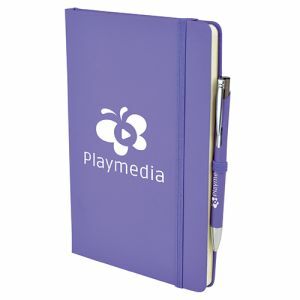 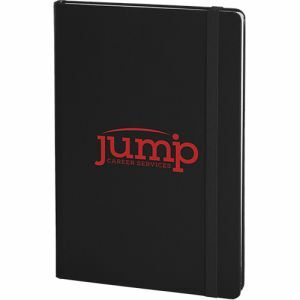 Branded notebooks can make highly desirable resale merchandise, corporate gifts or promotional giveaways. 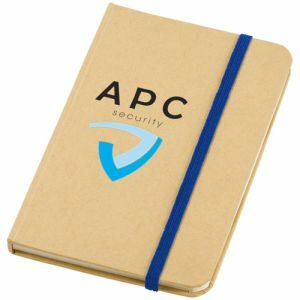 A small batch of custom printed notebooks with beautifully embossed covers could be practical hand-outs for an executive meeting, or full colour printed notebooks are certain to make an impact at conferences, trade shows or events. 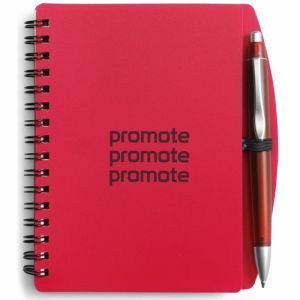 Whatever the purpose or occasion, promotional notebooks fit in perfectly. 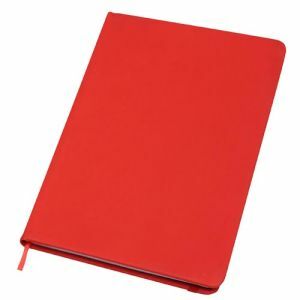 Year-on-year the sales of notebooks, planners and diaries grow. 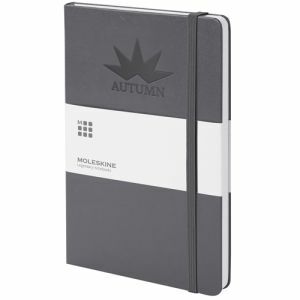 A beautiful notebook encourages doodling, sketching, mind mapping and better brainstorming. 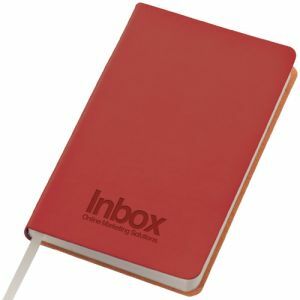 Research has even shown that by physically writing out ideas rather than typing them, another part of the brain is accessed where there is a deeper level of thinking – which is a big benefit for teachers, lecturers, trainers and employers. 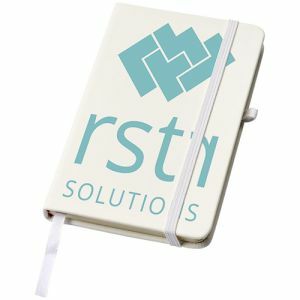 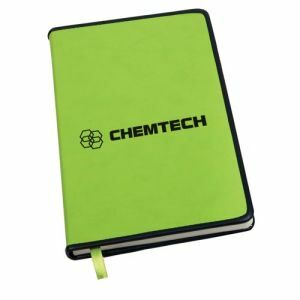 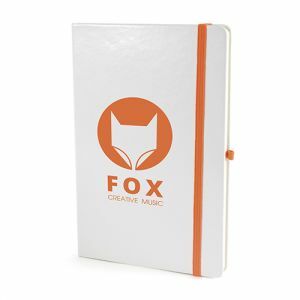 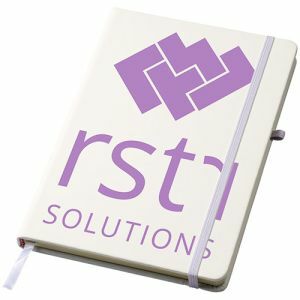 It’s a bold statement but we know that almost every business person has a notebook close at hand, so there’s no reason why that notebook can’t be printed with your company’s logo. 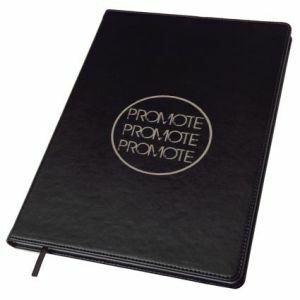 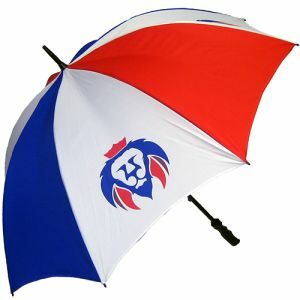 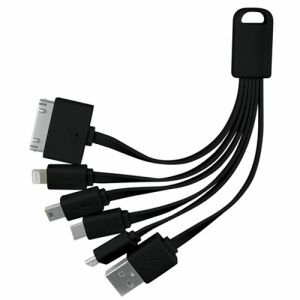 You can gift them to employees so that they have a uniform, professional feel when they take them to meetings. 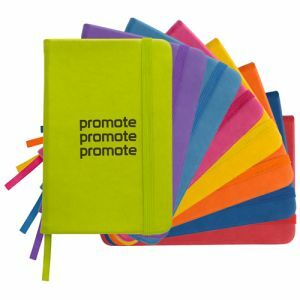 You can even use them to promote your brand to the public by gifting them at trade shows and encouraging brand awareness. 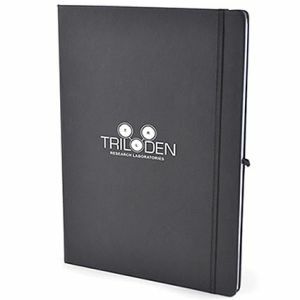 For an exclusive executive gift or high-level meeting, Ivory Tucson Medium Notebooks with Pencils are our undisputed best sellers. 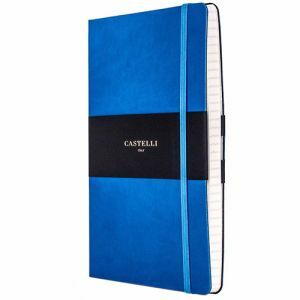 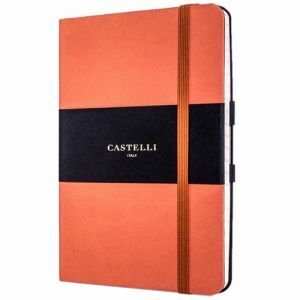 At just under A5 in size with a soft touch embossed cover and elastic closure band, this Italian-made custom notebook, complete with Castelli pencil, creates the perfect gift for a busy executive or office worker. 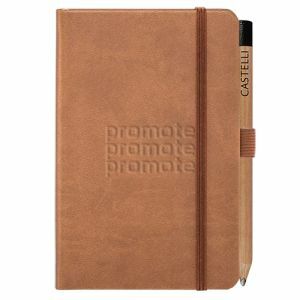 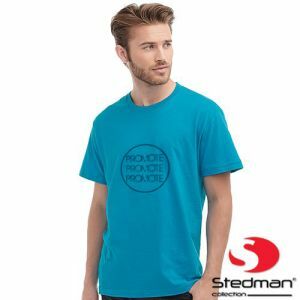 Continuing on the path of corporate gifts, associating your business name with renowned brands such as Castelli, or even the top pen brand Cross could give your marketing campaign an edge of class. 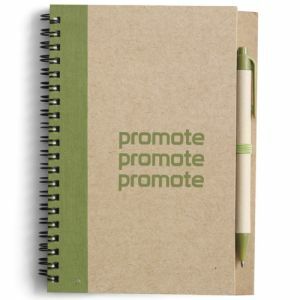 It could even give you a boost above the competition, or even just advertise your already established business in a high-quality light. 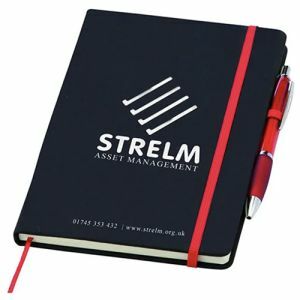 Our Cross Medium Journal and Stratford Ballpen Gift Sets include a classic chrome Cross pen with an A5 promotional leatherette cover notebook, complete with ribbon page marker and elastic closure, all supplied in a gift box for that added finishing touch. 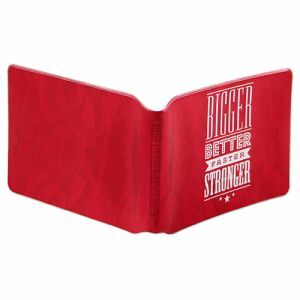 These sets make fantastic retirements gifts, rewards for recognizing business milestones as well as corporate Christmas gifts and are certain to keep your company name at the forefront of your customers' minds. 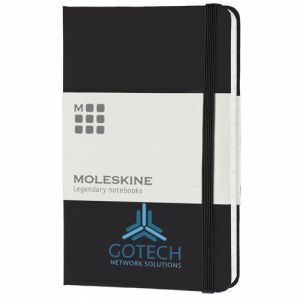 If you like the idea of a promotional notebook and pen set but want something on a slightly smaller budget, our Noir branded notebooks combine functionality and design all at great low prices. 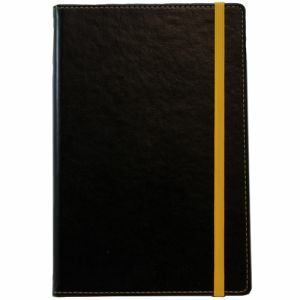 The classy black soft-touch covers combined with splashes of colour from the elastic closure, ribbon page markers and included pen give an understated look but broad appeal. 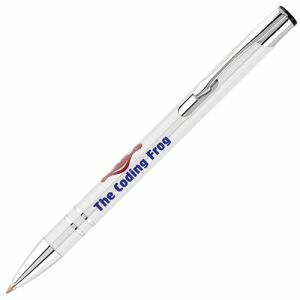 The pen supplied with our (just under) A5 and A6 versions is our customer favourite Curvy Ballpen, which can also be printed with your marketing message for maximum advertising, a cost-effective choice for any business. 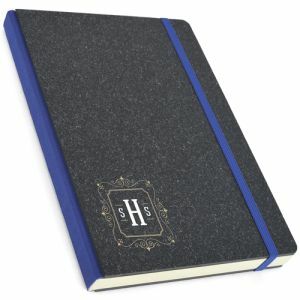 We may all be glued to our phones, but research has shown that millennials still really love to use notebooks. 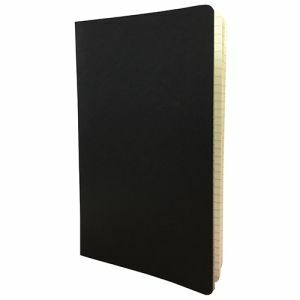 There is real ease to using notebooks rather than digital counterparts. 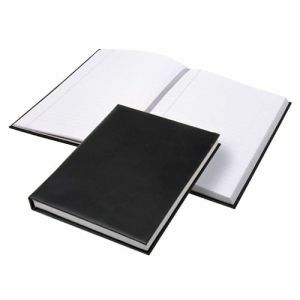 It encourages sketches and better brainstorming and research has shown that by physically writing out your ideas rather than typing them you can access another part of your brain where there is a deeper level of thinking. 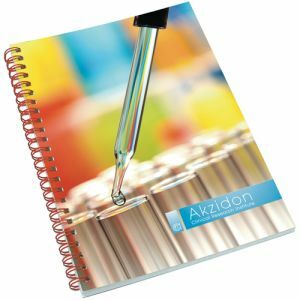 For ease of use and functionality, our A5 Spectrum Soft Touch Notebooks offer the essentials of everything you need in a soft feel notebook but at the lowest prices in the UK. 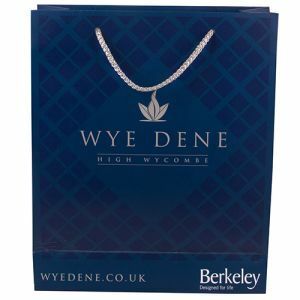 If you just want the best value on a tried and tested customer favourite, then these could be the ideal choice. 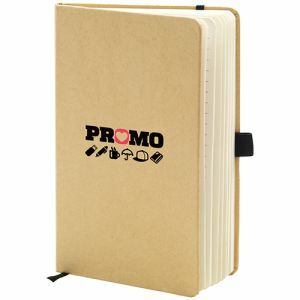 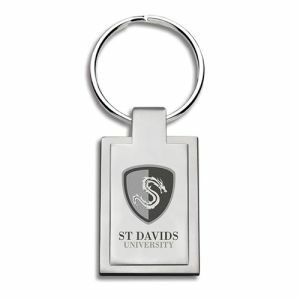 Suitable for schools, universities, colleges, offices or even everyday note-taking. 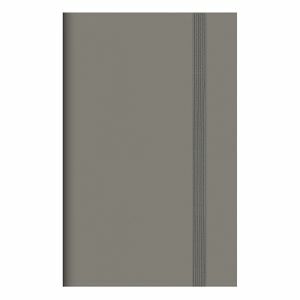 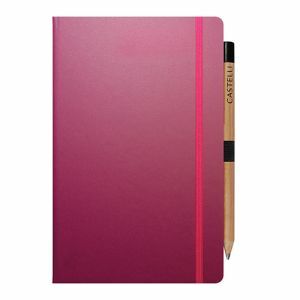 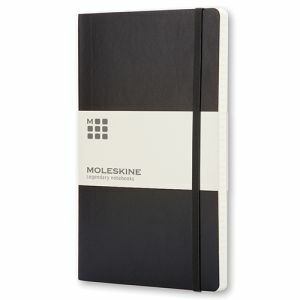 It could be said that the ‘soft feel’ or ‘soft touch’ finish is inspired by the popular Moleskine range. 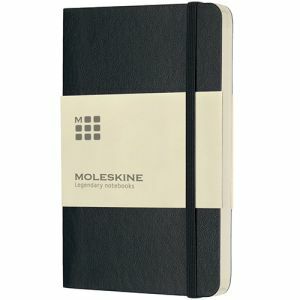 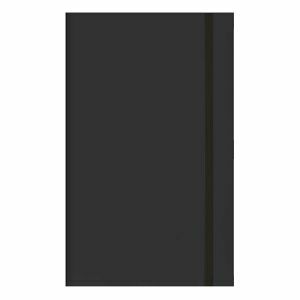 The Large Moleskine Hardback Ruled Notebook, in particular, is one of our customers’ favourites, a quality product easily recognised from the shelves of most retailers. 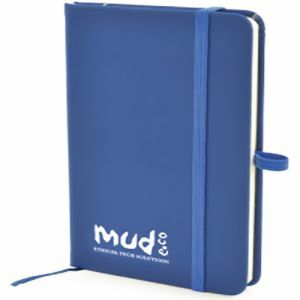 Available from as low as 10 units, they have soft synthetic moleskin covers that are wonderfully tactile and can be debossed, printed or foil blocked with your company logo to create the right impression for your business. 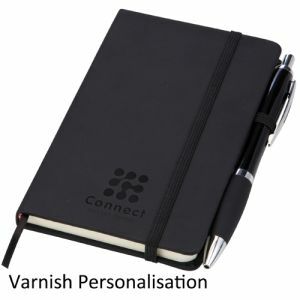 Perfect for an exclusive run for customers or staff. 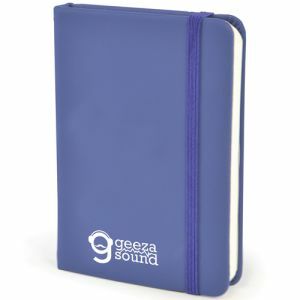 For form as well as function, wirobound covers mean the notebook can lay flat on a surface for writing. 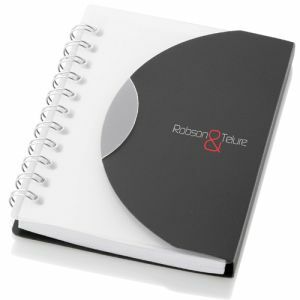 Our medium sized wirobound journal notebooks are pitched between A4 and A5 in size – giving them some differentiation from other notepads. 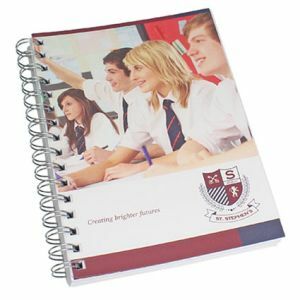 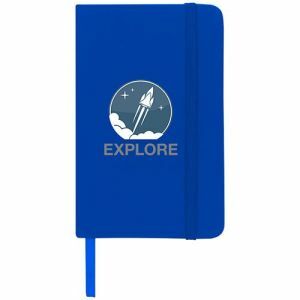 We even have a version that includes a week-to-view diary layout on one leaf and lined paper on the other for a great, multipurpose spiral bound notebook perfect for offices, schools and colleges. 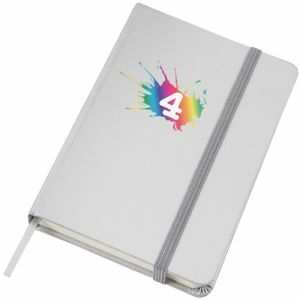 For a high impact and minimum order quantities starting at just 25 copies, our A5 full-colour wrap journal is a winner. 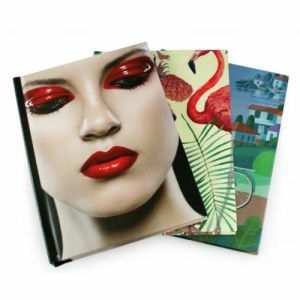 Available with lined, dot or plain paper there will be a version to suit your requirements, and with a full-colour outer, these branded notebooks are perfect for photographers, venues, repurposing pack shots, or simply to reinforce advertising or marketing campaigns. 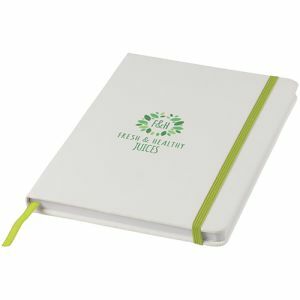 Using paper has accumulated a lot of stigma for being bad for the environment, but you don’t need to compromise your eco credentials when it comes to custom notebooks. 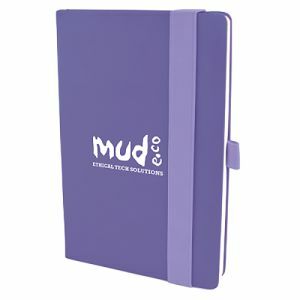 Use our eco-friendly filter to the left to find our eco-friendly and recycled notebooks. 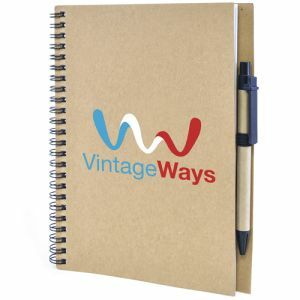 You’ll find A5, A4, wirobound and reporter style recycled notebooks to choose from. 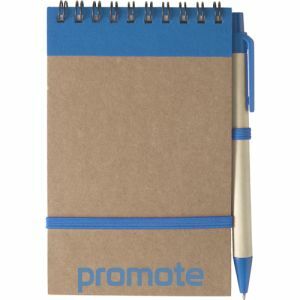 One of our favourites is the recycled Recycled Wire Bound Flip Notebook which comes in a range of cover colour options complete with coordinating elastic strap, pen loop and eco-friendly ballpen. 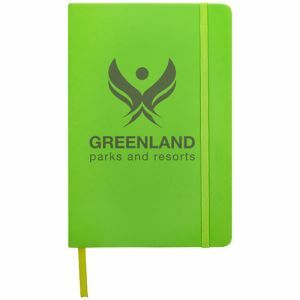 A great custom printed notebook choice for journalists, secretaries, students, meetings or conferences, guaranteed to advertise your business as one that cares for the planet. 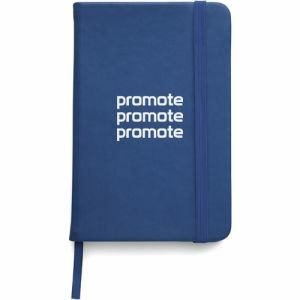 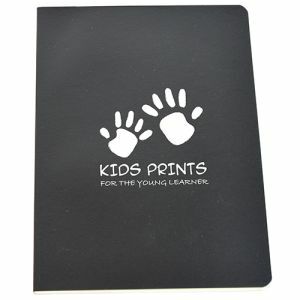 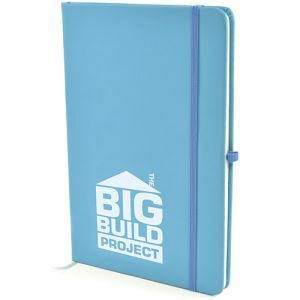 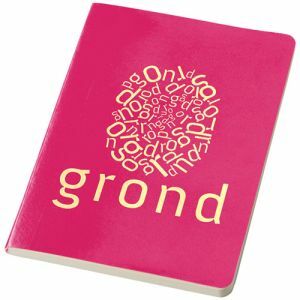 Notebooks really are a great promotional gift, they encourage people to write, to plan, to create. 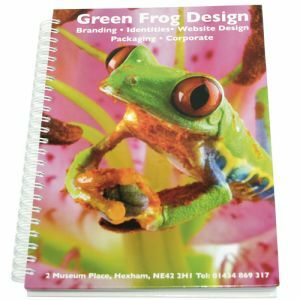 Whether you’re looking for A6, A5 or A4 sizes, eco-friendly or luxury, hard cover or soft feel cover, spiral bound or perfect bound, we have a quality branded notebook that will meet your needs and budget. 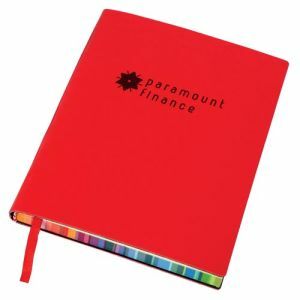 Please give our UK based sales team a call if you can’t find what you’re looking for.